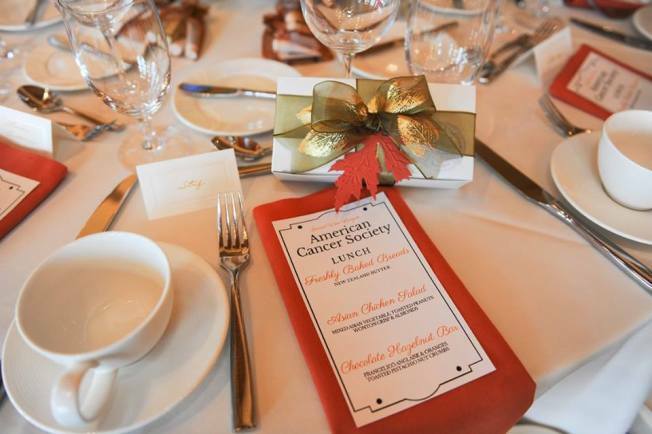 Volunteers of the American Cancer Society, Silicon Valley Grand View League, is hosting its 2017 Design & Discovery... dedicated to a cure women's luncheon on Wednesday, September 13th at La Riconada Country Club in Los Gatos. Silicon Valley Grand View League have been raising funds for over 20 years. These group of women from Los Gatos, Saratoga and San Jose are dedicated to support the American Cancer Society in donating over $15 million for cancer research and patient services. The league launched a research funding initiative last year and guests in attendance will learn about progress and updates. Along with the sit down luncheon, guests will have an opportunity to shop at on-site boutiques like jewelry, clothing, and much more. There will be a raffle of beautiful tablescapes by local designers and floral arrangments by master floral artist from Bloomsters. Silicon Valley Grand View League is encouraging all to support an important cause and enjoy company of new friends. To donate or purchase tickets, here.